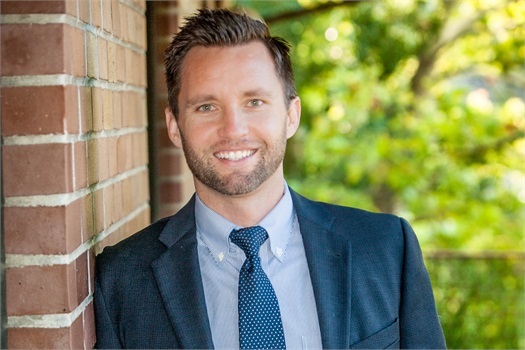 Garrett Vanneman, CFP® is a fully licensed Financial Advisor, a member of the Royal Alliance Corporate Registered Investment Advisor Program, and holds the prestigious CERTIFIED FINANCIAL PLANNER™ - CFP® certification. He graduated with a Bachelor of Science in Economics and Business Administration degree from St. Mary’s College of California in 2003. Teamwork is something in which Garrett strongly believes in. Since 2008, he has worked alongside Deron Allred, who has also served as Garrett’s mentor; together they are growing the team at Blueprint Financial. ”Our industry can be complex and overwhelming, working with a great team helps provide clarity and confidence for our clients.” Outside the office, Garrett enjoys being involved in his community. He is an active member of the Roseville Chamber of Commerce, where he was awarded ”Ambassador of the Year” for 2017. In addition to that, Garrett is also a 2015 graduate of Roseville Leadership. Garrett and his wife Nicole both grew up in Roseville, and live here today close to family. When he is not advising clients, Garrett loves to read, spend time outdoors, and participate in triathlons. He is proud to have finished the inaugural IRONMAN Triathlon in Lake Tahoe in September of 2013. Garrett and Nicole are proud parents to two young boys, Dallas and Davis!